Berlin is thought of as the city of Urban Pioneers, a place where everything is possible and where space can be taken over and transformed. Voids and unused spaces waiting to be occupied, old buildings engaged with new program. The self-determined design of space, building, living and working, be it in the form of builder collectives or co-housing (Baugruppen), co-op’s (Genossenschaften), co-working spaces or other project forms, has produced an architectural diversity and quality in Berlin over the last fifteen years that is exemplary. 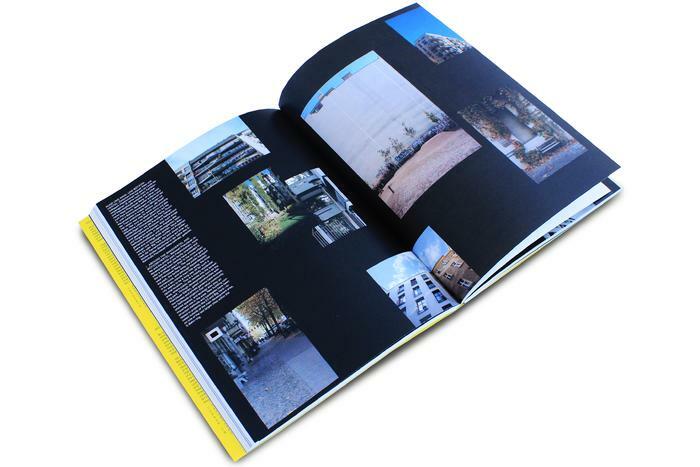 Selfmade city presents the evolving condition in Berlin, including a survey of over 120 projects, an analysis of the qualities and potentials of these projects as well as 50 best-practice case studies. Which contributions are being made in private initiative for the development of the city and what can be achieved in the future? Which methods and strategies are generating added value? Selfmade City is an initiative of the curator Kristien Ring (AA Projects). 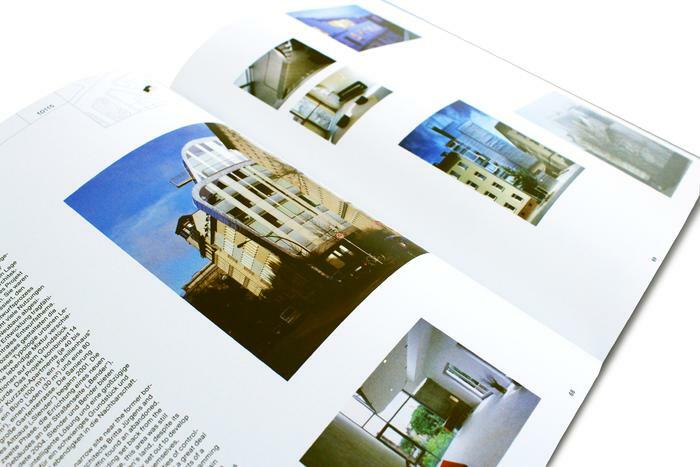 The books is based on the exhibition and publication project 'Builder Collectives in the City', that Kristien Ring presented at the German Center for Architecture DAZ in 2007. Over 3000 visitors came to the show durring the eight-week exhibition time period at the DAZ. 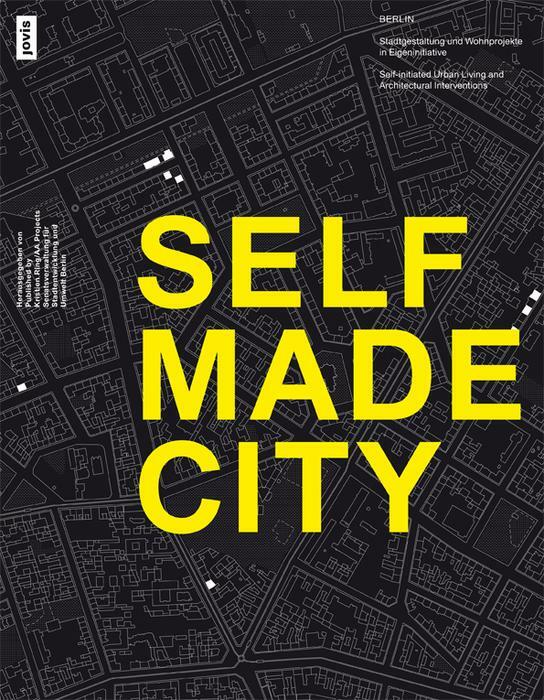 The focus of Selfmade City is not only builder collectives and self-initiated living projects, but includs projects that have helped to define the spirit of the city by transforming the berliner city-scape. 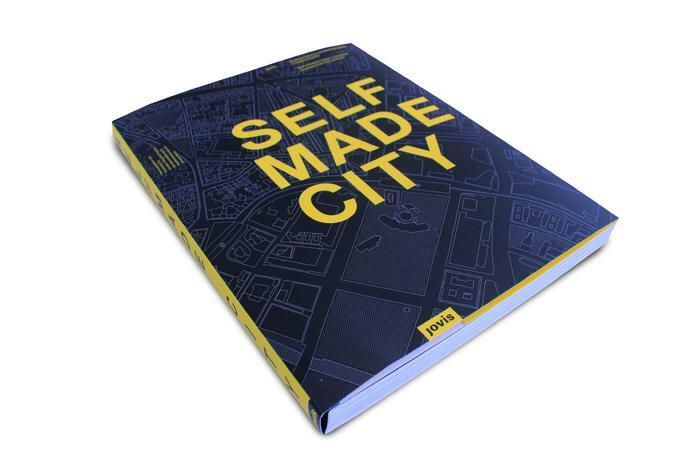 The goal of Selfmade City is to present the qualities of these projects, with particular attention given to the design. Preserving the specific potential of Berlin is at stake. The project see for the presentation of an exhibition in Berlin that is accompanied by discourse events, excursions and a prblication that will reach a wide public and, at the same time, further discussion and political decision making. Which qualities have really been materialised through the self-initiative of architects, owners, and other space pioneers? 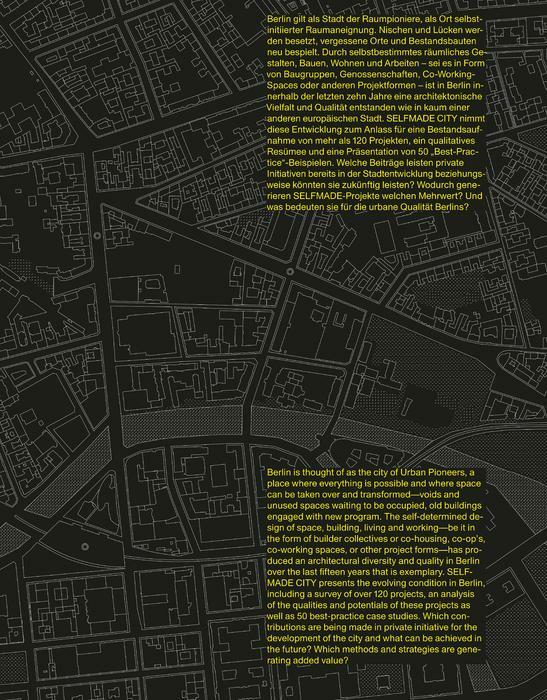 What is the subsistence of future potential concerning Berlin’s urban planning? What are future-oriented fields of work and strategies, or even requirements and conditions that are need for self-initiated spatial design with an aspiration for high quality to continue? Statements III: Do it yourself – but how? • Statements IV: What next? Kristien Ring is founder of AA PROJECTS (2011) and works as a design, planning, and project process consultant, curator, architecural critic, and author. From 2005 untill 2011 she was the Director of the German Center of Architecture, DAZ, from 2001 untill 2005 the curator and co-funder the galley Suitcase Architecture. Franziska Eidner studied journalism, cutlural studies, and arts administration. Since 2005 shi was worked as author, conceptual consultant, and communication espert for institutions, agencies, administrations, corporations, and publcihers in the field of architecture, urban and regional development. She is co-funder of EINSATEAM, Berlin.